I was visiting my BFF Kathleen at her new apartment in Baltimore for dinner and an overnight stay and I wanted to bring her a little something. 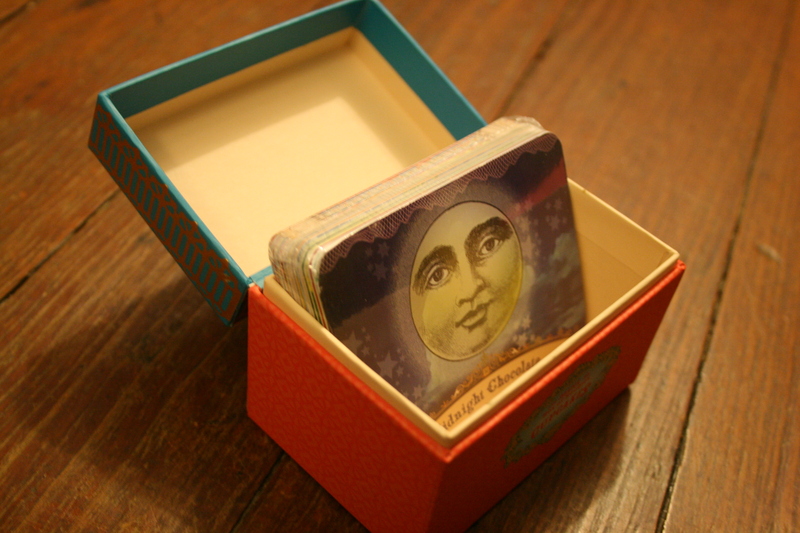 I stopped in at Lark in Downtown Gettysburg and found the most adorable mini box of cupcake recipes. (p.s. love this store-I want to decorate my entire house with the accessories they carry-I might need to do a little window shopping post there sometime like Sherry does on Young House Love). 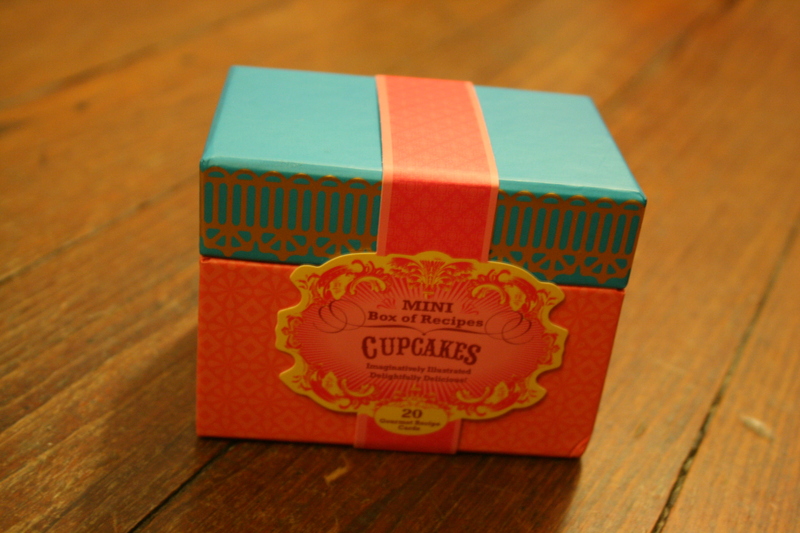 Each cupcake recipe card is beautifully illustrated and unfolds to reveal the ingredients and instructions. 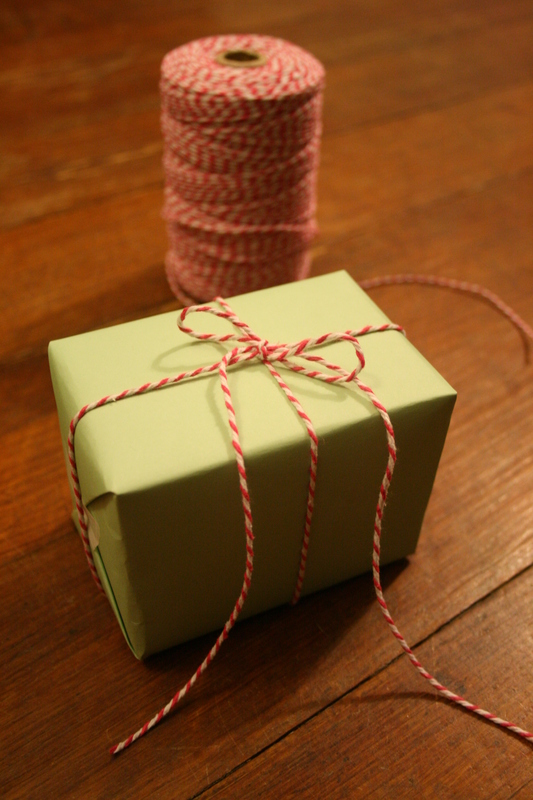 I just wrapped this bad boy up simply in mint green scrapbook paper and tied with a pink baker’s twine bow. I bought the baker’s twine on Pick Your Plum-they seem to bring it back in their daily sale every now again, so sign up for their email if you’re interested in deals on craft stuff. Done and done. 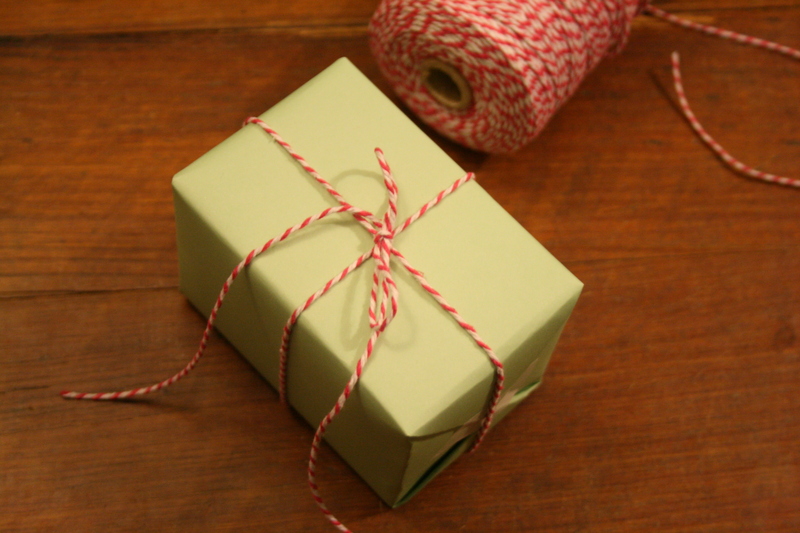 Nothing better than a pretty gift, prettily wrapped for a lovely hostess. I'm Christine. And I dabble. cooking, crafting, DIY-ing, I have a go at whatever strikes my fancy. My husband, Wes, and our dachshund pups, Tiller and Trudy, have been known to join in. Cheers to savoring the good things in life.